So, you're in the market to bolster the amount of relaxation you have in your life currently, right? And you want to add a lot more stress relief? By now you've figured out that purchasing a home massage chair is going to get you all that and more. The benefits of massage are hard to quantify, and they're growing by the day. The technological components are advancing almost as quickly. 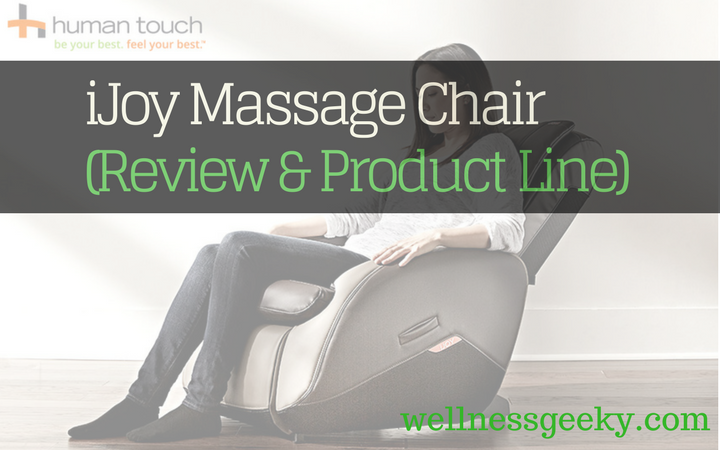 So, for those of us who love the results of a regular massage appointment, but don't love the time and money it takes to keep up the routine, thankfully there's the iJoy massage chair line from Human Touch. I'm preaching to the choir here, I know, but let's just say, these are not your granddad's recliners. Here's a rundown of the different models and a quick guide on how to choose the one that's best for you. This is one of the best sellers in their lineup. On the Human Touch scale of gentle to intense, the Active 2.0 comes in at vigorous. This equates to basically what you can think of as medium-high on your kitchen range. There's only one tick higher (intense), so this delivers a very stimulating massage. It's not for those who prefer a very gentle massage, and yet the needle doesn't go all the way to the top. There are three built-in programs you can explore and choose from, or you can create your own custom program from the available styles and features. They utilize what they call the flexglide technology, which is designed to produce a massage sensation that glides across your body. This soothes tight, sore muscles, and enhances relaxation. There are three types of motion that closely simulate a real-life massage from a therapist: glide, orbital, and stretch. The pre-configured programs are perform, think, and recharge. Perform targets your shoulders and neck and relieves stored-up tension and stiffness. Think is all about the back, massaging deep into each side of the spine, releasing knots, and rejuvenating your whole body and mind. The Recharge program targets your lower back, massaging those muscles that are prone to overwork, causing pain and stiffness. You can choose or change the program at any time with the attached remote control. If you like a pretty vigorous massage and enjoy color choices, don't have a lot of room or just want a smaller footprint chair, and want a contemporary style, have a long look at the Active 2.0. It comes in two color options, bone, and espresso, and it takes up very little space. It fits nicely into smaller rooms. One important thing to keep in mind is that if you're under five feet or over six feet tall, this one is not recommended. Definitely try before you buy if you're not in the five to six-foot range. The structure is covered under warranty for two years, parts for a year, and in-home servicing for 90 days. At just under five hundred and fifty dollars, this is a great investment, which will pay for itself in a couple of months and provide years of stress and pain relief, greater relaxation, and a healthier, more alert mind. If you like a gentler massage than the Active 2.0 delivers, you'll want to consider the 2580. This provides a less aggressive massage, and is ideal for those who are looking for increased and enhanced relaxation. All about the "R's," this is underlined by the three types of massage programs you can choose from: release, refresh, and relieve. Rated at a two out of five on the scale of intensity, this one comes in at the "relaxing" level. This is a great looking chair and is offered in black or brown. 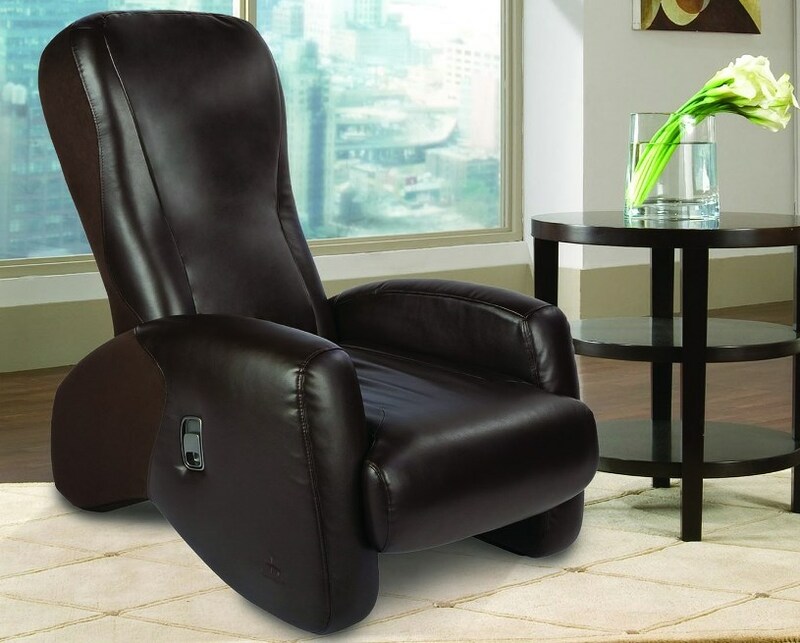 It looks more like a classic recliner than most standard massage chairs out there, so it works with a range of design choices. And speaking of reclining, you can recline with a push of a button, to any angle you prefer, all the way to completely flat. It comes with the same warranty as the Active 2.0. You get ninety days full service coverage at your home, two years for the structural components, and one year for parts. A nice feature of the 2580 is a power outlet built right in, so you can use or charge your devices at the same time you relax with a soothing massage. The control panel is built into the arm, so there are no cords or remote controls to handle, and all settings are easily within reach. There's a removable pad in the back that you can take out to increase the intensity if you choose. There's also a cup holder built into the armrest. This will set you back a little less than 700 dollars, making the 2580 a stellar choice, as evidenced by its popularity and loyal customer base. If you love the look and features of the 2580, but your budget doesn't quite get you there, you'll be so happy there's the 2310. This model is also the next generation of the iJoy 100 and iJoy 130, both of which are out of production. It looks like the little brother or sister to the 2580, and at $499, it's more than a bargain. It's also rated "relaxing," so you will get ultimate relaxation, stress relief, and soothing action for tired, sore muscles. There are three programs to choose from, release, refresh, and relieve. These target muscle soreness, stress, and back therapy. No matter which program you choose, get ready for professional-grade Shiatsu massage, as you enjoy compression, kneading, rolling, and percussion. You can remove the back pad for a more intense massage, and the tethered controller is easily stowed in the armrest when you're not using it. You can recline as far as is comfortable for you, all the way to 160 degrees by pulling the release lever. The more you recline, the more intense the massage becomes. The warranty covers the structure for two years, parts for a year, and in-home servicing for 90 days. 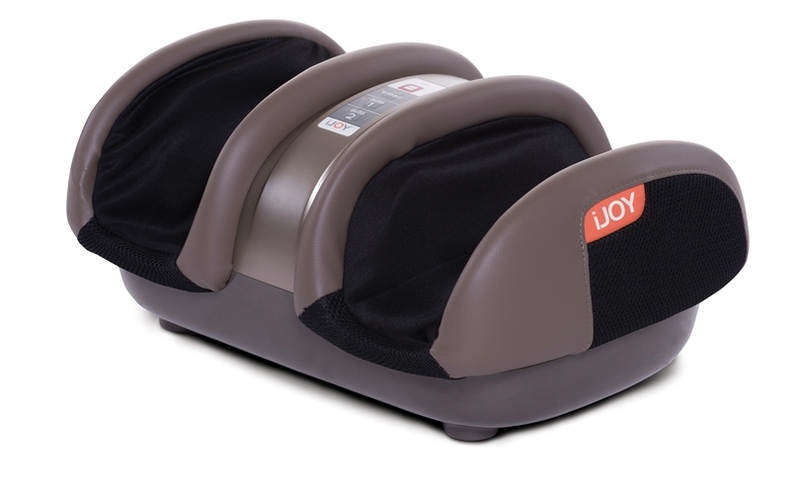 If you want a moderate level of intensity foot massager accessible any time of day or night, at home or in the office, and you're looking to spend about a hundred and fifty dollars, the iJoy Foot is going to make all your dreams come true. And all your stress melt away. This machine delivers invigorating, restorative foot massage by way of cutting edge robotic technology. Foot massage can work wonders not only to relieve stress and tension, but to sooth tired, aching feet. If you suffer from a condition like heel pain, flat feet, high arches, or plantar fasciitis, foot reflexology is crucial to healing the fascia and enabling you to resume normal activity. The IJoy Foot increases circulation and blood flow, which improves your overall health and wellness, body and mind. It's an excellent complement to the Active 2.0, and it's lightweight, so it can easily be moved from room to room. The best massage pad, bar none. If you want the ultimate in on-the-go massage therapy, look no further. 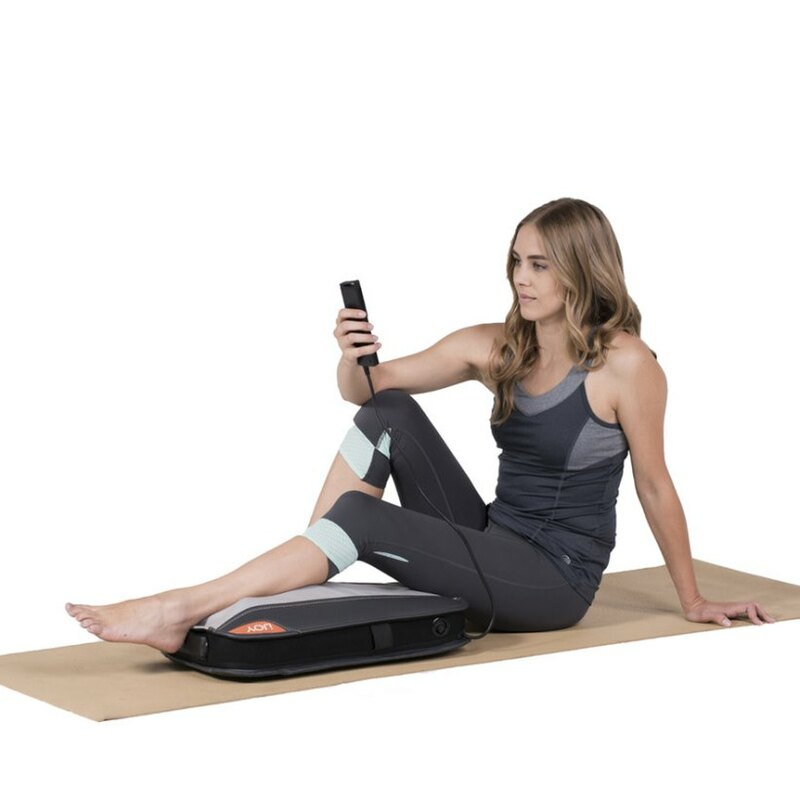 It provides the same technology utilized by the Active 2.0, and it's fully portable. It comes with a rechargeable battery, which lasts two hours per charge. The easy-to-use remote controller attaches right to the side of the pad, making it easy to use anywhere, and to stash back in place when packing up or moving locations. The therapeutic gliding massage is delivered pain and pinch-free, for ultimate relaxation and rejuvenation. There are three built-in programs to choose from, and the nice shoulder strap is fully adjustable for the perfect fit. The massage is vigorous, and is the best way to end a long day or refresh anytime you need a boost. This pad is perfect if you travel a lot, or just want to be able to have a massage anywhere, anytime. And it's less than two hundred and fifty dollars. With the quality, craftsmanship, style, and excellent therapeutic benefits, there's an iJoy for everyone. If you do decide it's not for you, however, the return policy for the entire product line is the same. If you're not happy with your purchase, you can return it within 30 days. Make sure you save all your packaging, as you'll need to ship it back with everything intact. If you do choose to make a return, you have to first call Human Touch and get a return number, which you then need to write on the outside of the box. It's worth noting that you must pay the shipping fees; and if you choose a refund, Humantouch also charges a 15 percent restocking fee. Once your item is received, if it's in the same condition it was when you got it, you'll be issued a refund or a replacement, whichever you choose. Built for form and function, these machines are made of high-quality materials, they're built to last, they utilize the latest in therapeutic massage technology, and they are stylish. Unlike many high tech and equally good options out there, iJoy offers several different colors to choose from, and the upholstery is manufactured to hold up. You'll be hard pressed to wear one of these out. And no matter what your style preference, an iJoy massage chair brand will fit in with your decor and look great in any room of your house. Many iJoy models are affordable, but you can find used chairs online, just make sure you trust the seller.